That whole "we don't have any remaining races on our 2014 calender" didn't last very long! Gabe and I will be running the 2014 First Watch Sarasota Half Marathon and Relay on March 16, 2014! This will be our second consecutive #runSarasota event and this is a tradition we are looking to continue. We will participate in the relay portion of this event as I am currently burned out from long distance running. 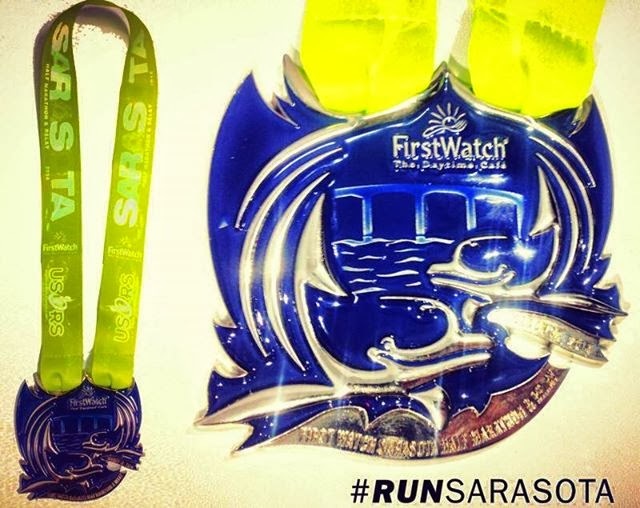 I cannot wait to get my hands on another Sarasota Half Marathon & Relay medal to our collection after eating a delicious finishers brunch from First Watch. I am not quite sure this photo shows how truly large the #runSarasota medal is in real life. 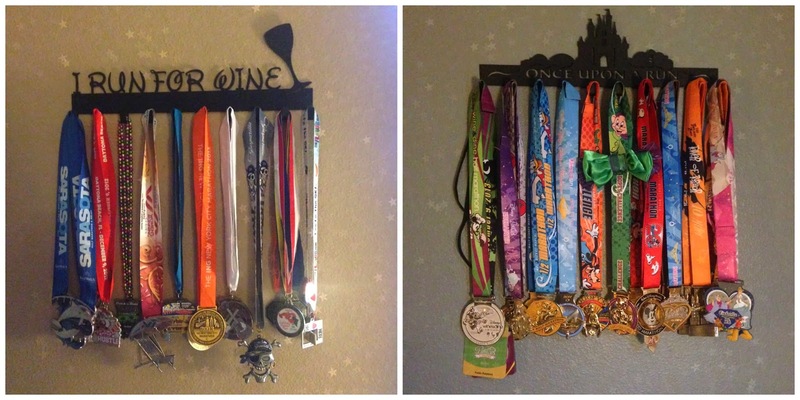 Our 2013 Sarasota Half Marathon & Relay medals take center stage on our SportHooks medal rack. The Sarasota medal is located on the I Run For Wine hook on the left. In fact, the Sarasota Half and Relay was the largest half marathon finisher’s medal in the state of FL in 2012 & 2013. 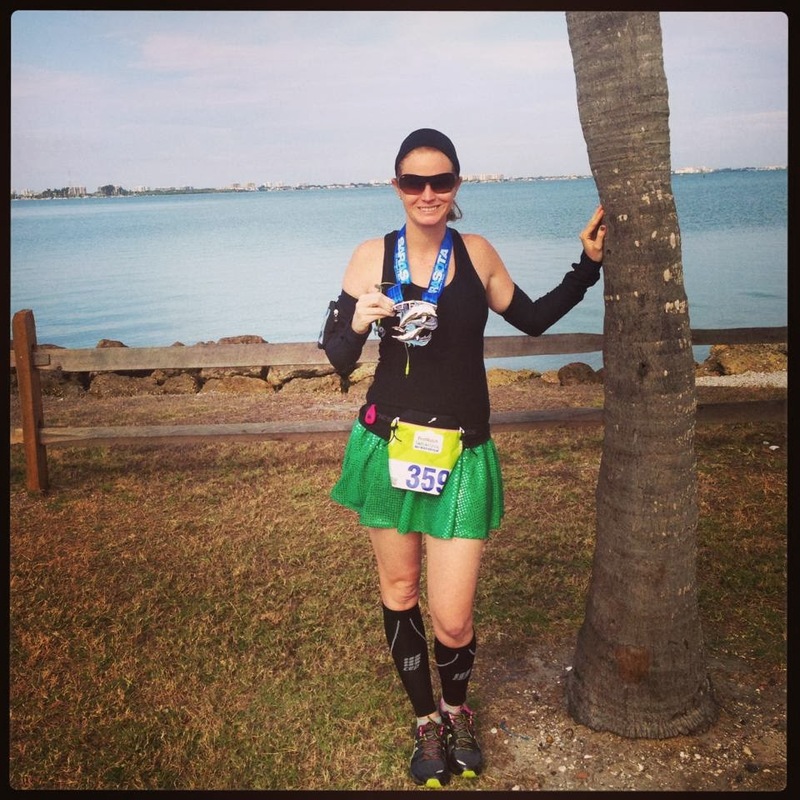 Not only do you get an amazingly beautiful and huge medal for completing the Sarasota Half Marathon & Relay, you also get one of the most spectacular views running through Sarasota. 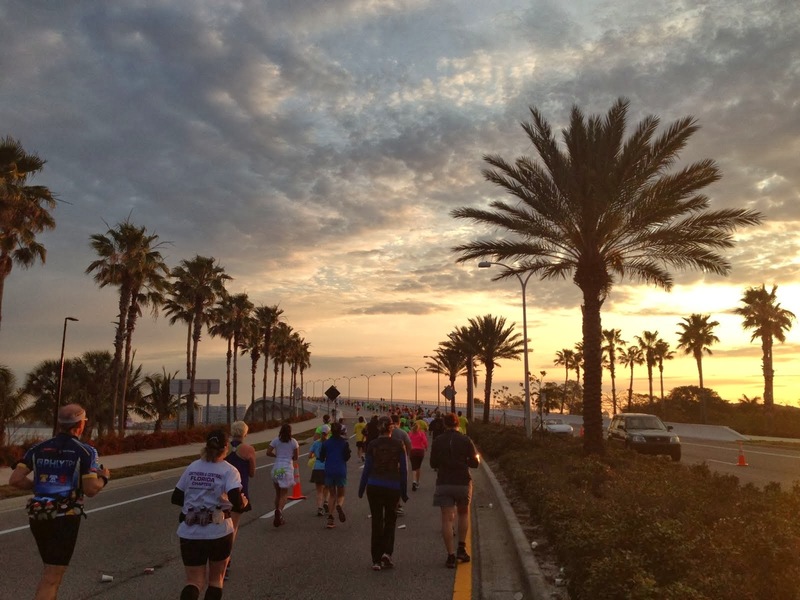 You start the race by running over the Ringling Causeway Bridge, around St. Armand’s Circle and back over the Ringling Causeway. You then run through Sarasota’s beautiful neighborhoods. Sarasota Half Marathon and Relay has won multiple awards including being voted the best post race brunch and party in 2012 from Competitor Magazine! While enjoying post race brunch from First Watch, you will see multiple Ringling brothers entertainers performing for the racers. First Watch Sarasota is close to selling out with nearly 4,000 participants signed up for the 2014 event (event to sell out at 4,200) and prices go up this Friday. This is also a great event to participate in a relay if you aren't ready for a half marathon (or burned out like myself). Click here to register today! Last month, Life Time Fitness acquired US Road Sports and Entertainment Group, and is now producing the First Watch Sarasota Half Marathon & Relay as well as the Miami Marathon, The New Jersey Marathon, The Salt Lake City Marathon and others around the country. I'll (hopefully) be there too! Just icing my leg right now and hoping I feel up to it! Looks so fun! !